I am president and owner of AAA Roofing Co., Inc. In 1977 I graduated from Johnston High School and upon graduation went to work full time for AAA Roofing Co., Inc.
My wife Lori and our sons Jeremy and Ryan also work along with us, also my nephew Mike Gannon. 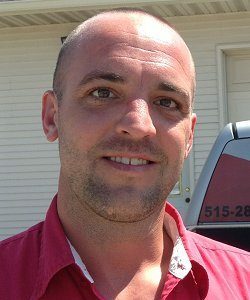 I have always and still do enjoy the roofing business, meeting people, and helping them to solve their roofing issues. Hello, my name is Mike Gannon. I am a sales representative as well as run our roof maintenance program here at AAA. I have been in and around this roofing industry, literally, my entire life. My grandfather opened AAA Roofing in 1969, and a few years later opened a local roofing supply company, all before I was born. I've spent more and more time around roofing since I was a few months old, going to hang out at the shop with my dad on Saturdays. I went through the ranks, with many of my cousins, starting with picking up nails in the parking lot for 5 cents each, to tearing off and roofing all summer long through high school, and EVERYTHING in between. I have been employed here now, full time, since 2003. I truly enjoy this roofing industry, and plan to do so until I'm forced to retire. I am happily married to my wife, Billi Jo. We live in Beaverdale with our beautiful daughters, 2 dogs, (and a couple fish as of lately). Outside of work you'll find me hanging around with them, or possibly out at a local golf course (bout a 15 handicap). 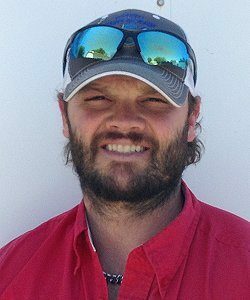 I'm happy to talk about any roofing questions or issues you may have. Have a great day and have fun! Hi, my name is Ryan Gannon. 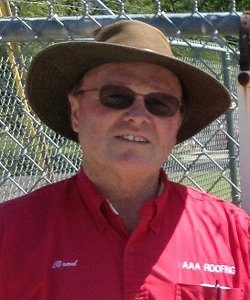 I have been working full time for AAA Roofing since 2003. Currently, I work as a salesman, I also do minor roof repairs, as well as work on the day-to-day operations in the office. I graduated from Johnston High School in 2000. I received my Associates degree in Liberal Arts from Des Moines Area Community College. After that, I received my Bachelor's degree from William Penn University in Business Management. I really enjoy the roofing business and look forward to helping anyone out with their roofing concerns and issues. 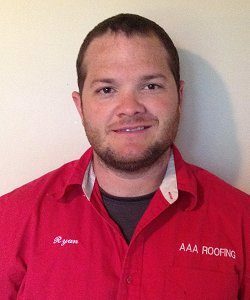 Hi I'm Jeremy Gannon one part of the third generation of AAA Roofing. I started at a young age doing odd jobs around the office, eventually working my way up the ladder to running roofing crews. I then moved away for 7 years and roofed in multiple states before moving back to Des Moines to raise a family with the love of my life. I again work alongside my family running AAA Roofing getting it ready for the 4th generation to get involved. We initially hired AAA Roofing three years ago to address a roofing leak in our home. Mike Gannon and his crew quickly remedied the issue, and the leak never returned. When we decided that it was time to re-shingle our home, we didn't hesitate to contact Mike to do the job. © 2019 AAA Roofing Company All rights reserved.